From left to right there is Cathy – former Filipino pop star and multimedia creator. She’s been working with Rachel (absent) on a series of podcasts for young audiences, including stories from missions, music and inspiration. And the first one is out – you can download it here. Next is Craig. I work closely with him submitting stories to the database that feeds the Wycliffe international websites. We had emailed quite a bit before we met and to be honest I expected him to be much younger since he is so web-techie. His knowledge of HTML is very impressive. Craig and his wife worked for many years in literacy training in Sudan – during the civil war. 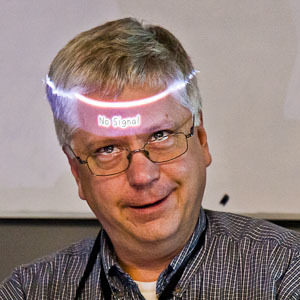 Among other things, Craig makes sure everyone’s stories are formatted correctly for the websites. Eric; a videographer, my pacific communications ally, and a great guy. Eric and his family are based in Ukarumpa – PNG. We work together on getting stories out about the work in the Pacific. Susan, the big boss, Wycliffe International Communications Director. I really enjoyed hearing Susan’s stories and insights from around the world. She sets the standard for our communications message and she is so refreshingly down to earth and globally thinking. Our fearless leader – Dawn. I think it’s rare and special to have a boss that everyone loves – that’s Dawn. She and her husband raised their family in Ukarumpa, PNG where they both worked as teachers. It was quite a treat to go back there with her last May and see her old house, and hear about her family life there. Then the lovely Aileen, she works on communications strategies and comprehensive plans with Wycliffe organisations throughout Asia. She has a background in video production, and is so beautiful and clever, and last time I was in Manila took me out for the best Filipino lunch! Sandy, Kenji’s wife, has a passion for making resources available to those who teach children. Their cute son, Shinji – has a healthy disrespect for the camera. Daniel, an online journalism intern from Germany who arrived a few days before these meetings. He has an intense distrust of facebook, and a huge love for God. Very cool dude. 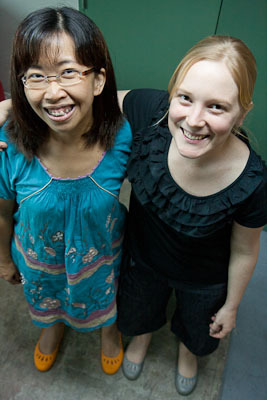 Ling – my roommate for the week, and fellow lover of croc shoes! Ling is also my counterpart in Hong Kong, as she is joining the team as journalist for the East Asia area. She’s worked in the communications office in Hong Kong for many years. What an excellent woman – and the most gracious of roommates. I really enjoyed her prayers in Mandarin during the week. Kenji, my Skip (online stock gallery) buddy and a fun and deeply spiritual man. Kenji has a background in graphic design, grew up in Japan, but now is a citizen of Canada. We work closely together on Skip – which I really enjoy. Kenji and his wife Sandy recently visited us in Sydney which was a unique treat. I loved showing them the best of Sydney. Absent from this picture are webmaster/graphic designer Oliver, and his writer/vision trip and intern coordinator wife Ann. Also missing is Rachel, an intern from the USA with a background in radio programming. And since our team is ever growing and evolving, I’m sure there are others missing too! Maybe it’s you? Wanna join our team? I’m impressed with the stuff that I hear that team’s doing, so it’s good to see some faces!